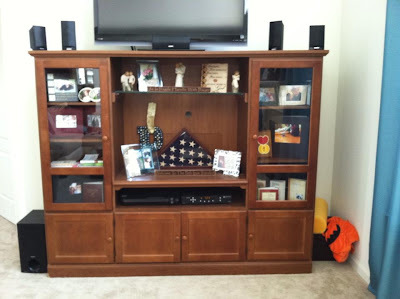 We recently got a new entertainment center, but I had trouble selling my old one. 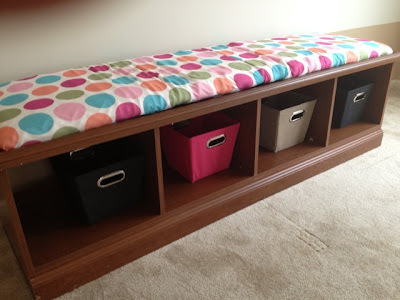 Instead of just throw it out I decided to re-purpose it into a DIY storage bench with storage slots underneath for baskets. It's the perfect addition to our playroom and workout area. The entertainment center was made of that really heavy - but not super great quality - fiberboard. 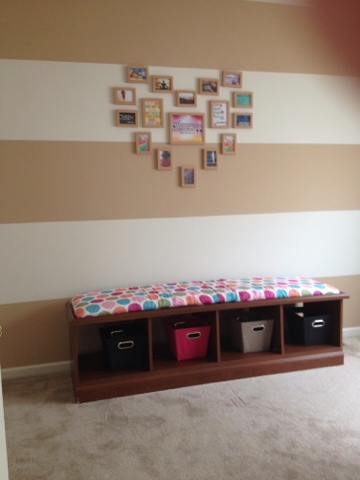 We actually disassembled it and then used some of the pieces to build a homemade storage bench. The great thing about doing this is we could customize it to our liking - and all the pieces were already cut to size for us. 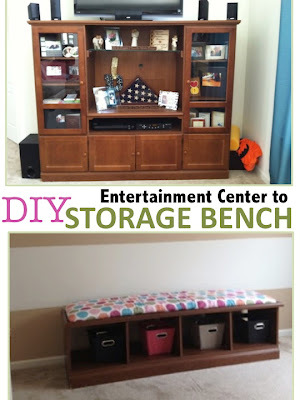 We used screws to put it all back together and then I made a cushion for the top. Instead of buying expensive foam for the cushion I actually used an egg crate carton mattress cover from Home Depot and covered it with some fun material. I added a bunch of inexpensive baskets underneath. How awesome is this! I love when stuff like this comes together. As always, thanks for stopping by 2IY. If you liek what you see, we'd love a pin!